Baxter’s history began in 1990, in the creative pole of the Italian Design. A union among old handicraft traditions, experience and creative energy that has developed and grown up in time, nourished by an endless passion for what is beautiful, thought and carried out in order to convey emotions. It all began in the tradition tanning districts of Italy where master craftsmen transform rough materials into pieces of leather with a unique appearance, softness and touch. The complete Baxter furniture & sofa collection is available at our London showroom based in King’s Road Chelsea. 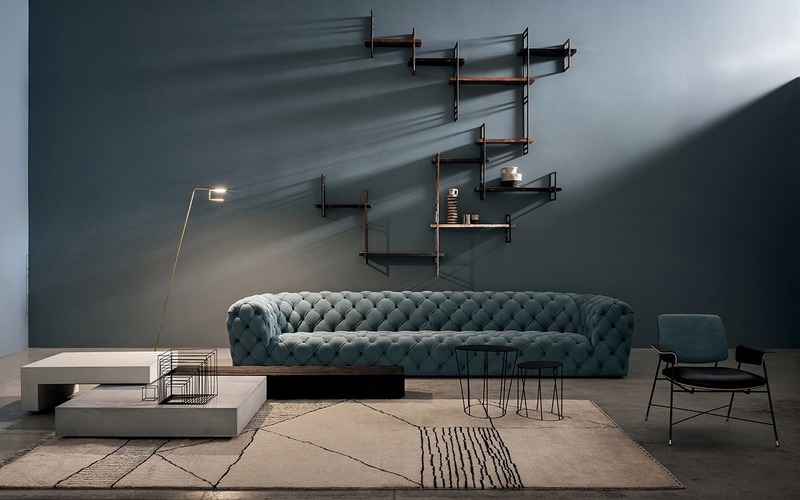 Explore our extensive collection of Baxter made in italy furniture including Baxter sofas, tables, Lighting and storage units. The Chester moon sofa, Sorrento armchair, Lagos dining table, Gemma, Colette and Nepal chairs, and more pieces of Baxter are on display in our showroom.